We are the global leader in Customer Data Science, empowering businesses to compete and thrive in the data-driven economy. Our science sets us apart and at dunnhumby you’ll have the opportunity to work on ground-breaking technology delivering extraordinary impact for our customers. You'll be part of a community, develop friendships and enjoy inspiring and challenging work. We hire diverse and interesting people who help each other succeed. We continuously seek to build an environment of inclusion, equality and respect because we know that will make us the best business we can be. We believe that learning and development never stops. Collaboration, creativity and innovative thinking are all rewarded with extra responsibility, a variety of new challenges, and career mobility, as well as competitive salaries and a performance-based bonus scheme. by becoming advocates and champions for their Customers. Our values are more than four words on a page. They are the force that drive us each day and together they create our unique culture, which we think makes us a great place to work. We believe strongly in being good corporate citizens and improving the lives of customers through better experiences not only where they shop, but where they live as well. Our Helping Hands teams in each market inspire employees to make a difference in the dunnhumby communities around the world. Through our Green Team, we also work to reduce the environmental impact of our activities and operations globally. We provide volunteering opportunities across the globe in any of our employee engagement programmes. For us, reward is more than just our salary. From the every-day thank yous for a job well done to the social get-togethers for the fun-lovers; it's working in great offices, with even greater people - networking globally to collaborate, innovate and deliver value. We also have a host of professional, social, and financial benefits tailored to suit the needs of each of the countries in which we work. 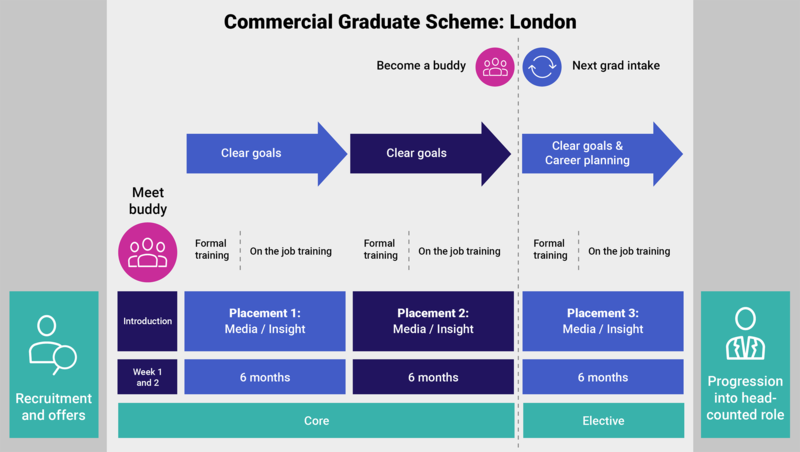 Whether you’re looking for a valuable short-term experience or stepping into your first job, dunnhumby offers a number of opportunities tailored to smart, ambitious students and recent graduates. From summer internships to accelerated training and role rotation, we strive to make our university programmes challenging and rewarding. We are also building an exciting apprenticeship scheme which will create a sustainable pipeline of new talent for our business. This is a unique opportunity to offer jobs and training to digital natives who want to pursue a career in the Tech, Insight and Media space. Gain in-depth exposure to our work, adding value in projects over a three-month period. 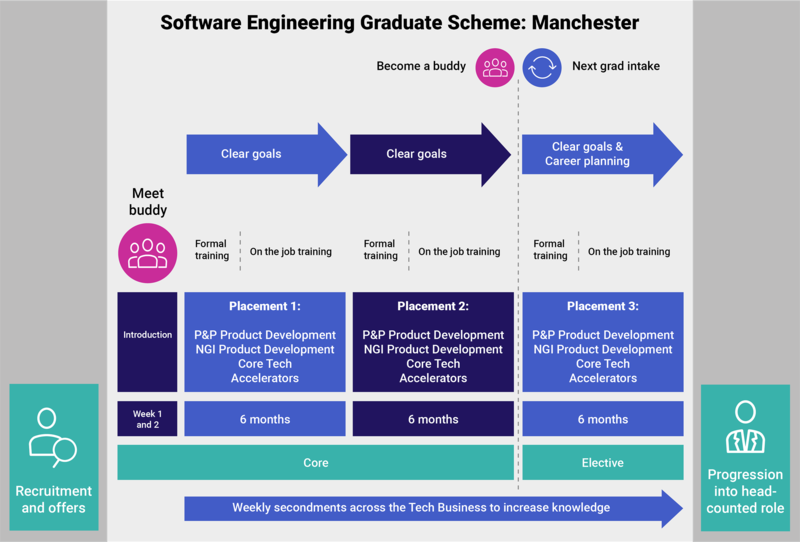 This is a great scheme to explore if dunnhumby is the place for you and to be considered for a place on one of our graduate programmes. The Summer Intern Programme is available in UK, US & India. Our 18-month rotational programmes in Technology and Commercial are designed to give graduates breadth and depth of exposure across our business areas. The knowledge and experience that comes from this will set you up as future innovators and individuals who will be fast tracked into leadership roles within our key businesses. Some of the programmes we offer include: Graduate Development Programme (US) and Graduate Training Programme (UK & India). Meet a few of our graduates and learn about their experience and their advice to future grads. We're always looking for best in class talent. Want to work with us? Send your CV if you'd like to be considered. Interested in partnering with dunnhumby on recruitment? If you’re interested in joining our Preferred Supplier List, please complete this form and send through to recruitment. We will be in touch when we review our PSL.